Home > Special Offers > Parts & Service > The Best Price... It's Guaranteed! 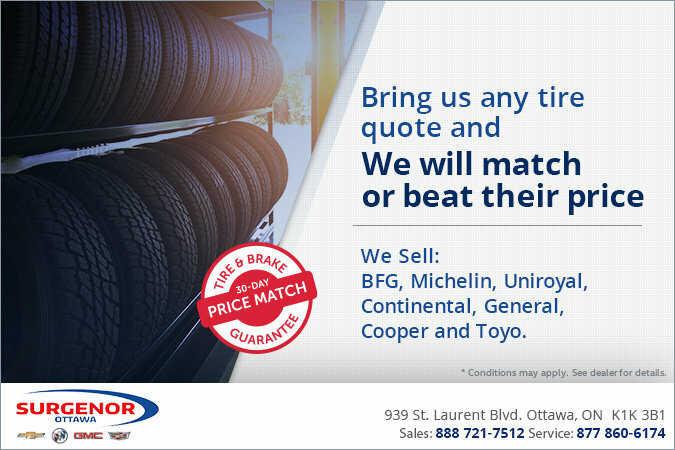 Always get the best prices at Surgenor Ottawa. We'll match the price of the competition on brakes and tires up to 30 days after your purchase!